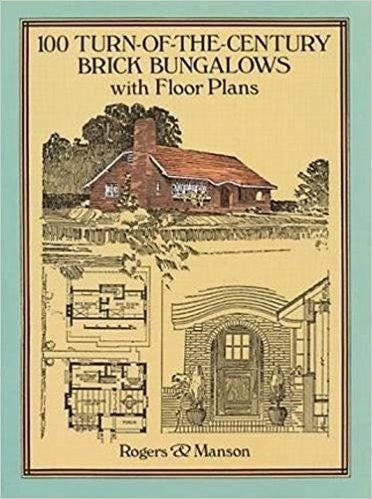 When Brickbuilder, an early 20th-century trade publication, sponsored a major nationwide competition for bungalow designs, over 600 drawings were submitted by architects and draftsmen from around the country. This book, reprinted from a rare catalog published in 1912, contains the 100 winning entries from that event. The competition had two important criteria: the principal construction material was to be brick, and the complete cost — exclusive of the land — would be about $3,000. The winning designs came from all over the United States and reflected a diverse range of tastes and styles — from a single-floor, tile-roof hacienda to an elaborate thatched-roof English cottage, complete with decorative brickwork and a semicircular exterior wall. Each of the 100 superbly rendered plates shows the house in perspective and provides floor plans, some landscape planning, and an itemized list of construction costs. Great. As described and arrived on time.